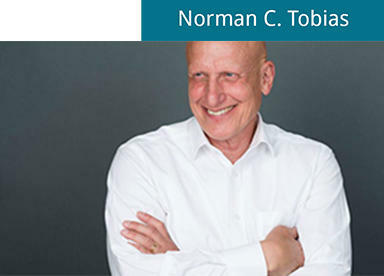 Norman C. Tobias, PhD, LLB, LLB (Droit Civil), consults in the taxation of private wealth as well as executive compensation, pension and benefits arrangements. Until 2018, he provided counsel services as a practising member of the Bars of Ontario and Quebec. He is also adjunct professor emeritus, Faculty of Law, Queen’s University. He is the author of Taxation of Corporations, Partnerships and Trusts, (5th edition, Thomson Reuters, 2017), the only textbook dedicated to the taxation of the three most common Canadian business and personal planning vehicles: the corporation, the partnership and the trust, and one which the Canadian Courts, including the Supreme Court of Canada, have had regular occasion to quote. The work is a core tax commentary title, in searchable digital format, available to subscribers of Thomson Reuter’s online database, Taxnetpro. Norman Tobias is a recruiter alumnus in Canada for Amherst College in Massachusetts, an institution that has been ranked consistently by U.S. News and World Report as among the top liberal arts colleges in the United States.